Donnelly Heating and Cooling has provided the local West Chester and Chester	County area with Lennox systems for over 30 years. 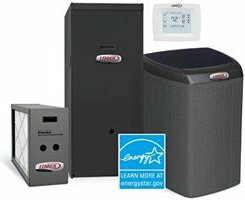 Lennox systems are	known as a leader in the home heating and cooling world. When home owners	are looking for the best equipment and service, Donnelly Heating and Air	Conditioning knows what is best and always places the customer first. That is why they trust Lennox. Lennox has long been a staple for home owners in the West Chester and surrounding	area. Donnelly HVAC has provided installation and repairs for home owners	and businesses for over 30 years. It’s important to have someone that	has an experience in dealing in the local area and with the Lennox brand	and Donnelly Heating and Cooling knows can help you make the correct decision	for your situation. Read our reviews to get a feel for how we work and what people say about our services.